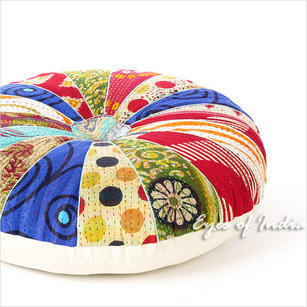 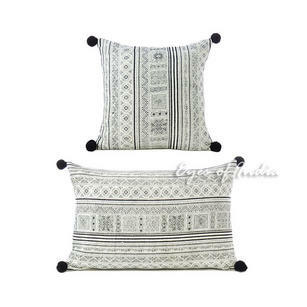 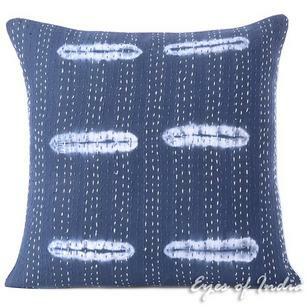 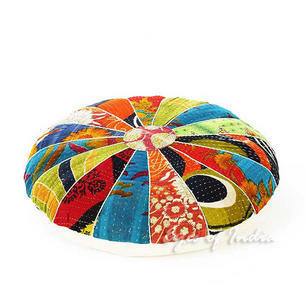 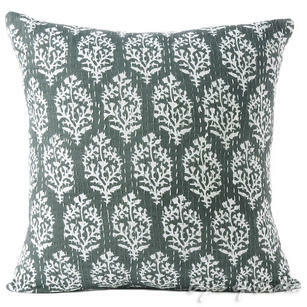 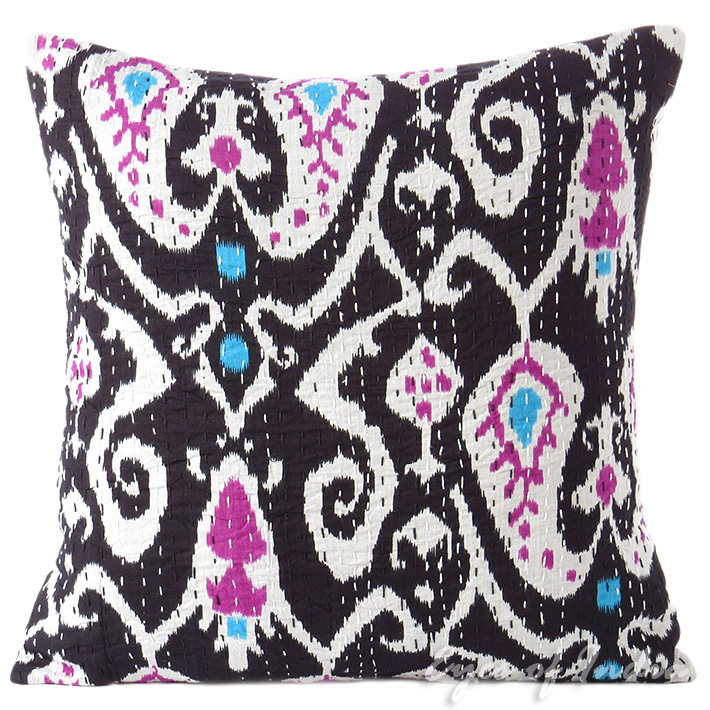 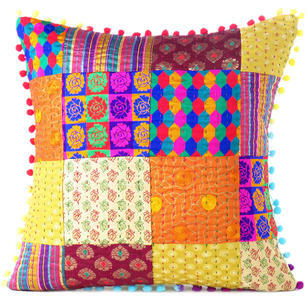 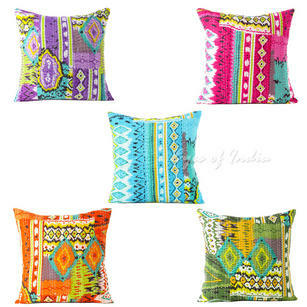 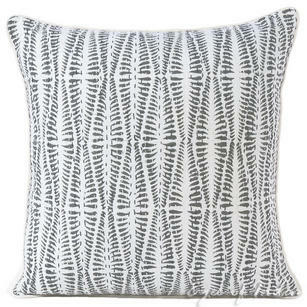 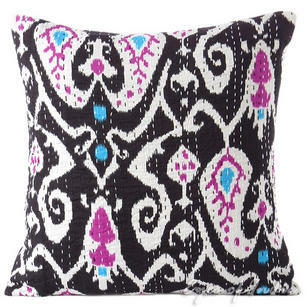 | Black Ikat Kantha Colorful Decorative Boho Sofa Throw Pillow Bohemian Couch Cushion Cover - 16"
Superior in design and durability, this screen-printed pillow is lovingly embroidered with traditional ‘Kantha’ stitch quilting technique famous is Rajasthan. 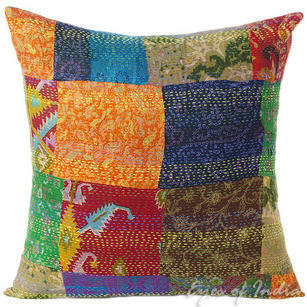 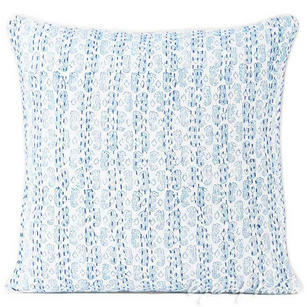 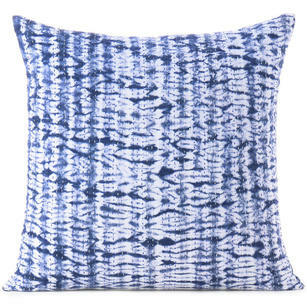 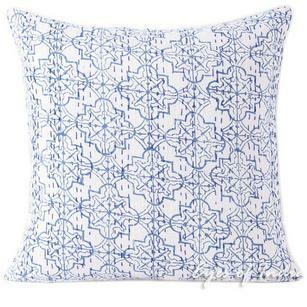 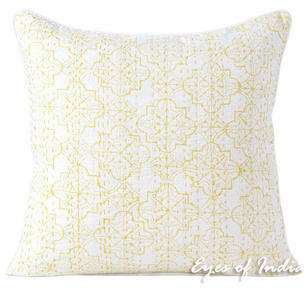 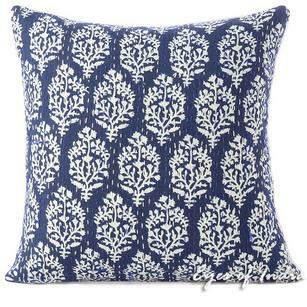 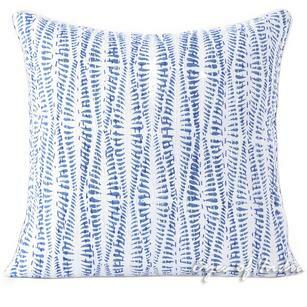 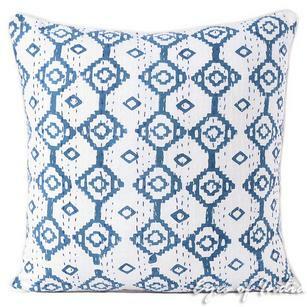 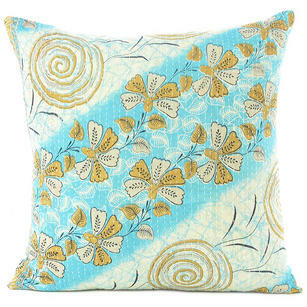 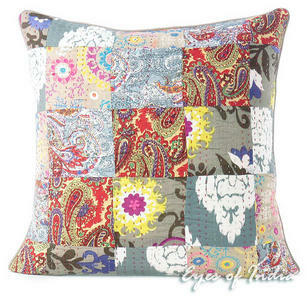 The printed side is the perfect decorative accent for your bed or sofa. 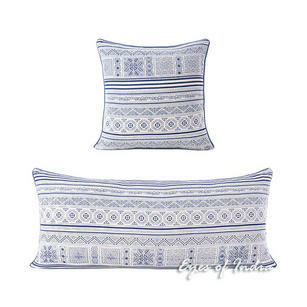 The casement cotton backing and high-quality zipper ensure that this pillow cover will last many washes and will be cherished for years.